1. The AEJE is writing this press release concerning a matter of importance raised by alarming activities of a certain individual called Mr. Yonas Embaye who claims to have worked as a journalist in Eritrea. 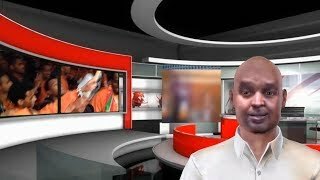 The above-mentioned individual has told fabricated story on various media outlets over the last couple of years, including the recent interview with BBC-outlook. He claims that he has been imprisoned along other journalists of the private newspapers in September 2001 crackdown. Mr. Yonas Embaye also claimed to have escaped the notoriously forbidding jail of PFDJ. Ever since he fled Eritrea, he has been in contact with various human group and individuals, and we found out he has also been receiving financial assistance on the ground that he was a persecuted journalist from Eritrea. 2. The Association of Eritrean Journalists in Exile (AEJE), herby, refutes his assertions one by one. We assert that even though we do appreciate and support his advocacy against persecution of Eritrean journalists, we categorically dismiss his claim of being a journalist in Eritrea before September 2001. 3. It is common knowledge that most of the journalists of the private papers were jailed in September and October 2001. They were detained FIRST in Embtakala and then sent to the infamous detention center, Eirairo, along with former government ministers and generals known as G-15. The rest of the journalist went into hiding or fled. Apart from the ten journalists who were arrested, we never came to hear about a journalist or freelancer named Mr. Yonas Embaye. Neither RSF, CPJ nor any media watch group have reported the name of Mr. Yonas Embaye in the list of the jailed journalists. 4. Fortunately, AEJE boasts membership of one or two of their erstwhile board members of almost all private newspapers that were shut down in September 2001. None of them recognizes Mr. Yonas Embaye as board member, writer or free-lancer. 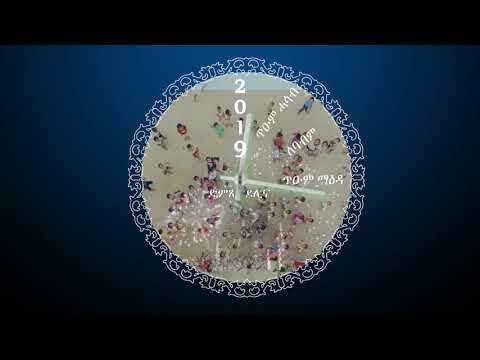 We have in our midst Milkias Mihereteab and Yosief Alazar of Keste-Debena, Aaron Berhane and Simret Seyoum of Setit, Ghezae Hagos and Yoseif Berhe of Zemen, Khaled Abdu of Admas (where Mr. Yonas Embaye claimed to have worked) and many other journalists. None of them can vouch for Mr. Yonas Embaye’s claim to journalism. AEJE also has members from governmental and other media outlets who would know or have heard of those involved in Eritrean journalism. Again, none of them can identify Mr. Yonas Embaye. Please see some of the members of AEJE below. 5. Moreover, Mr. Yonas Embaye claimed to have executed a successful prison break along with other prisoners. For the record, not a single journalist has escaped the detention centers of Embtakala, or Eirairo where our colleagues are slowly dying. Eirairo prison is located in impenetrable, highly guarded facility in North Eastern Eritrea not near Western Sudan, as Mr. Yonas Embaye insinuated. 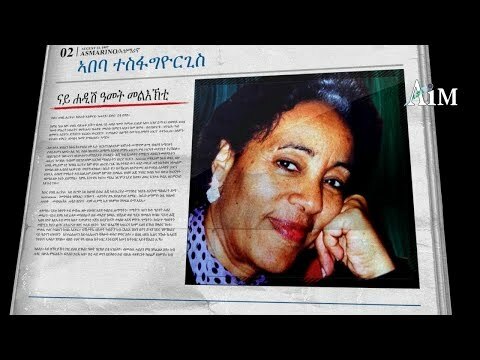 This fact can be corroborated by the recent revelation of former Eirairo guard Mr. Eyob Bahta Habtemariam who detailed the names of the prisoners and prison conditions of Embtakala and Eirairo since 2001. 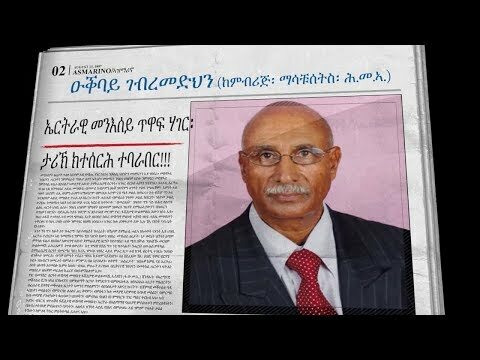 The guard’s revelations were taken largely as credible and it is noteworthy here to point out that he never mentioned the name of Mr. Yonas Embaye. 6. Ever since AEJE heard of Yonas Emabye, we have been investigating if his assertions were genuine. We have given him the chance to prove he was working as a journalist in Eritrea; however, he failed to do so. In our correspondences with him, he changed his versions endlessly. One time he claimed to have worked with Admas and at times with Setit. In one email message, he admitted to us that he has never been a journalist and that he was just a desperate refugee who was taking an advantage of the plight of the Eritrean journalists. We do understand the grim situation Eritrean refugees are in and we certainly sympathize with that. We believe Mr. Yonas Embaye should receive all the help he needs. But we can’t condone his assertions to have been a persecuted journalist in order to avail himself of assistance and protection. 7. Our Association, on account of its mandate and membership has written many support letters on behalf of many persecuted journalists. There are currently more than four of them in Uganda itself where Mr. Yonas Embaye resides. As a procedure, we mandatorily request the applicants for references to confirm their claims from the list we have or that we can contact. So far, versions of many applicants have checked out and we wrote support letters for them. 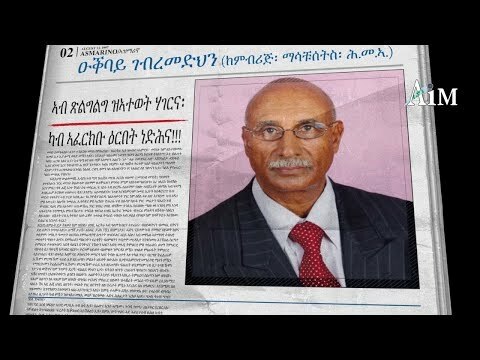 To this day, Mr. Yonas Embaye couldn’t come up with a single name of any journalist to vouch for him. Knowing this, he instead shortcuts to directly contact unsuspecting organizations and take advantage of their services. 8. It is highly possible that Mr. Yonas Embaye could be one of the thousands victims of the ruthless Eritrean regime. Enslaved for life, thousands of Eritrean conscripts are languishing in detention centers that litter the country. He could have been unjustly detained even fled from prison. Many army conscripts have done so and they have heartbreaking story to tell. 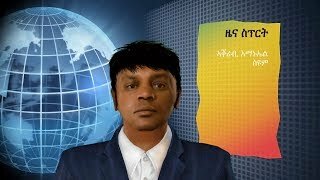 However we object in the strongest terms possible Mr. Yonas Embasye's naked lies to attain support from international organizations on behalf of Eritrean journalists. We wished Eritrean prisons were like those as described by Mr. Yonas Embaye: easy to escape and not well guarded. Mr. Yonas Embaye is adding an insult to the injury of Eritrean exiled journalists, to those who have been languishing in secret prisons without any sign of life for the last 10 years and to all the family members of the victims. 9. 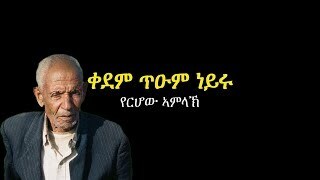 We at the AEJE, certainly applaud and encourage his advocacy on behalf of Eritrean journalists. It pains us to write against a person who holds posters of our incarcerated colleagues in streets of Kampala. Eritrean advocacy groups, like AEJE, needs people who speak up, and who agitate for the cause. There is no question about that. What is unacceptable to us and many advocates is to misuse this advocacy for private gain. In the claim of persecuted journalist, Mr. Yonas Embaye, through his misrepresentation and fraud, has given false witness to what is a noble and just cause. He diluted the true message of advocacy, thereby putting the credibility of our suffering and pain into question. 10. We are also saddened to learn Mr. Yonas Embaye has been receiving moral and financial support from individuals and organizations that sympathize with our cause. We have long known his true motives were to receive money and to resettle to the West. 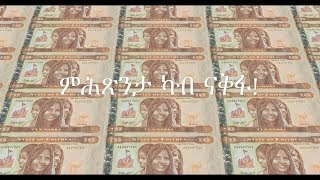 We can’t fail to understand why organizations, media outlets and individuals don’t hesitate to help the Mr. Yonas Embaye financially and morally. It emanates from the goodwill and eagerness to help the persecuted Eritrean journalists. And we duly take note of this act of generosity, a Good Samaritan’s recognition of the plight of Eritrean journalists. We certainly honor the intention. But we want to tell them there are true Eritrean journalists who need help in Ethiopia, the Sudan, Uganda, and other countries. And yes, Mr. Yonas Embaye is not one of them. 11. We want to assure you we have done everything to settle the matter with Mr. Yonas Emabye. We informed him we appreciate his advocacy but he should refrain from claiming to have been a journalist. However, he mistook our patience and plea for complacency and apathy. He has exhausted our patience to the degree we are forced to expose him for what he is. Mr. Yonas Embaye forgets he doesn’t have to be journalist to advocate for arrested and persecuted Eritrean journalists. He only needs to be a concerned citizen, unless he has other ulterior motive which is easily discernible. 12. Henceforth, our association would like to recommend to the media outlets, who published his story to remove from their archives and to refrain from entertaining his lies in the future. We also urge all international organizations and media outlets to first check with AEJE and known Eritrean journalists before airing unfounded stories like those of Mr. Yonas Embaye. 13. As journalists we stand to tell the truth. We want to reiterate that it would have not been necessary for us to issue a press release had Mr. Yonas Embaye didn’t go in public in an effort to make his assertion genuine. This letter is thus meant to set the record straight to prevent any similar mistakes in the future as well. 14. Our Association is also considering taking a legal action against Yonas Embaye, if he continues to ignore our well-intentioned requests. We declare zero tolerance to any attempts to take advantage of the desperate situation of Eritrean journalists for purely individualistic ends. 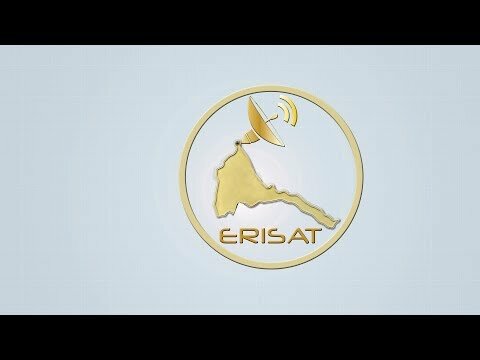 Our concern is simple: Eritrea has more than its share, real persecuted journalists (the greatest number in the world for that matter) and their heartbreaking testimonies. We don’t need to add another one- a false one at that.